Structures | Science & Technology Bldg. 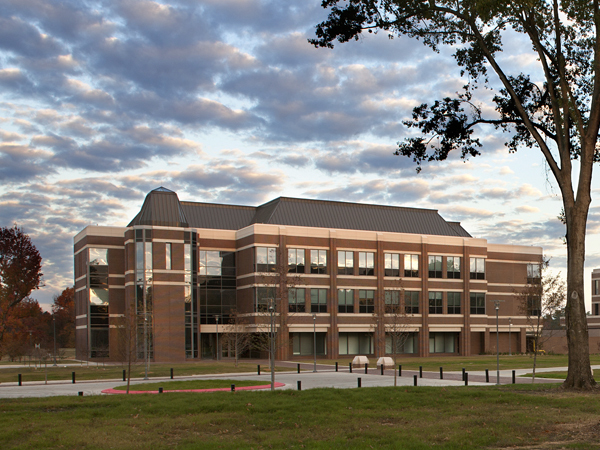 In 2006, with a generous gift of over 300 acres, Texas A&M University Texarkana began construction on their Science and Technology Building located near Bringle Lake, just northwest of Texarkana, Texas. The facility, which is one of the buildings slated in their master plan, has three levels and contains approximately 42,000 gross square feet. The state of the art building will house the biosciences, electrical engineering and information sciences programs.